The Battle at the Binary Stars is the first Featured Task Force Operation in Star Trek Online. 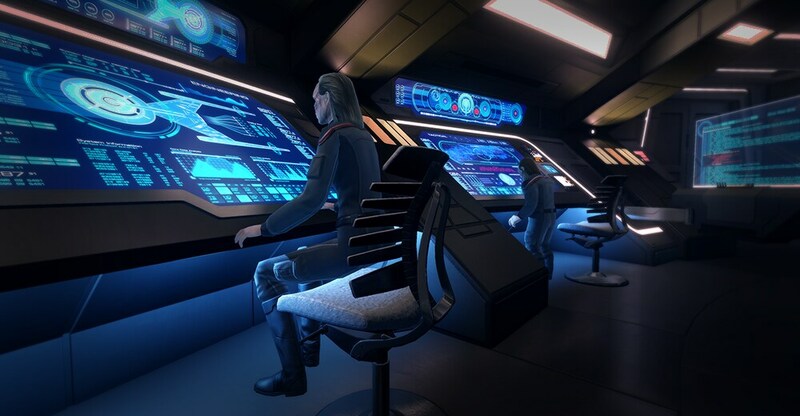 Captains will be able to take on the appearance of Federation ships from the Discovery era in this simulated battle. Complete the TFO on 14 different days to earn the Beacon of Kahless while earning marks and Dilithium, as well as three Featured TFO Reward Boxes. The Beacon of Kahless is an all new reward for completing Battle at the Binary Stars on 14 different days. Summon your own personal Beacon, giving off a light that blinds your enemies, completely eliminating their accuracy for several seconds. The Beacon will also call in a group of Klingons to come to your aid. This Beacon is an account unlock, and may be claimed on other characters on your account. Resolved an issue that caused the Elite Starter Pack to be removed from the Zen Store. Resolved an issue that was causing the episode “Downfall” to be available to Dominion Captains before selecting an allegiance. Resolved an issue that was causing the several New Romulus episodes to be available to Dominion Captains before selecting an allegiance. Resolved an issue that was causing the “Welcome to Earth Spacedock” to be available to TOS Captains before reaching 2409 era. Resolved an issue during episode “Darkness before the Dawn”, where it referenced an obsolete Sector Block. Resolved an issue that caused the Fleet Heavy Battlecruiser (T6) to have the incorrect Admiralty stats. Resolved an issue that could cause the Reputation Discount to fail to apply to the Delta Reputation Armor. Resolved an issue where Hur'q Swarm Pets summoned with the Phased-Waveform Beacon or Hive Defenses Traits were dealing much higher DPS than intended against exceptionally large enemy ships.